We Are Moving To WordPress!! Starts TODAY!! "SAPsMaMa: Natural Parenting in the Modern World"
"SAPsMaMa: Natural Parenting, Non-Toxic Living, and Green Choices for the Modern World!" I know I have said this for quite a while, but the time has FINALLY come!! As you have seen, the Google Friend Connect on this blog has been disabled, there is no way for me to transfer a Blogger GFC to WordPress and it work correctly (since I have changed my URL), sooooo You will all have to move to WordPress with me! I find it exciting! We have the Blogtastic Extravaganza Event starting Jan. 18th with over 100 participating blogs and SAPsMaMa will have over $200 of prizes, at least 4 winners, of products to help you Go Green For The New Year! Sponsors include AppleCheeks, BumbleDoo, WildTree with Amanda, LocoMomama, The Soft Landing, Babybug Creations LLC, The Green Sheep, Miessence, and MORE still signing up! There will be 4-5 packages of prizes totaling at least $50 in each package...that's at least 4 winners! We are also signed up for the Handmade With Love Winter Event with dozens of other blogs in early February, with SAPsMaMa's theme "SAP's Soiree: Turning 2 with Handmade Wonders"! We have 3 sponsors lined up with amazing prizes and more in the works! And don't forget, many more cloth diaper reviews, potty training pants reviews, eco-friendly tips and tricks, ways to stay non-toxic coming your way! Donate Prefolds to Help Infants in an Orphange, get Extra Entries! Please spare a couple $ and donate to help these infants in the orphanage :) It's a wonderful way to give this season and does not require much $! For each Prefold you donate, you will receive 1 Extra Entry into my Abby's Lane Giveaway, and 1 Extra entry into my Blogtastic Extravaganza Event Giveaway Jan 18th! Good for up to 24 Extra Entries. Thank you so much! Be sure to post here if you donated so I know! :) And send your proof (i.e. receipt) to mphin278 at yahoo dot com Happy Holidays!! 'Tis the season to make the world a better, fluffier place! This holiday GEN-Y wants to focus on helping those who need our help the most. We are so excited to say that we are hosting a cloth diaper drive for Aggie's Baby Home in Uganda! (www.ugandalove.org/) This home provides a safe place for orphaned or abandoned infants; Baby homes are often the difference between life and death to a child in need. And they need cloth diapers! We want to raise 500 prefolds (we had a very generous donation of 500 pocket diaper shells; now we need something to stuff them with :) to send over to Aggie's. 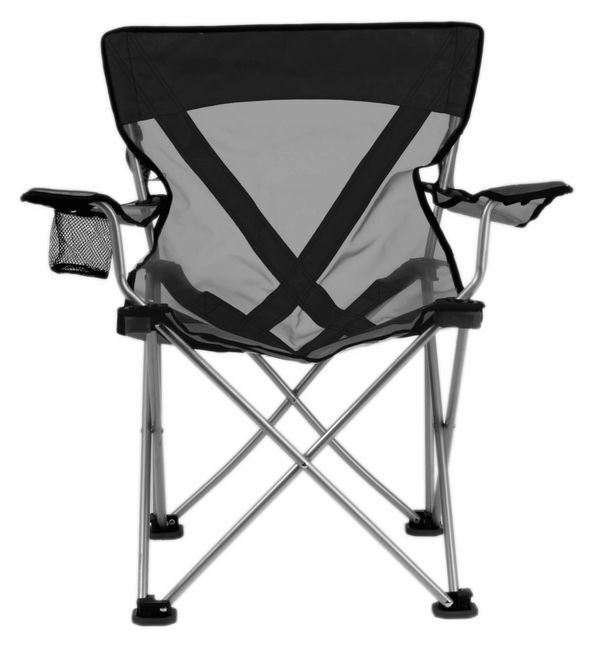 If you purchase this item, a prefold will be included in box that will be shipped out at the end of the month. GEN-Y is not making any money on this transaction, 100% of the donations are going towards diapers for Uganda. Or, you can cloth diaper a child this holiday! Purchase a bundle of these prefolds (18 in each) and you have provided all the diapers needed for single child who needs all of the extra TLC we can give. If you would like a tax receipt with your order, please include the request in the order notes. As my "Thank You" to you, you will receive free shipping on the remainder of your order with GEN-Y to the USA or Canada. Just select the "Donation - Free Shipping" Option at check out. Abby's Lane Giveaway and Review! Not long after I started cloth diapering SAP I was getting addicted to fluff! I know, an odd addiction, and unfortunately one that made cloth diapering a bit less affordable than I had initially thought! That "affordability" thought changed once I found Abby's Lane! Abby's Lane was the first cloth diaper store I found that had amazing selection and prices...but also FREE SHIPPING!! On any size order too! I found that such a relief! And with their newsletter sign up you receive a coupon code every month and great deals (and may I say steals?!). Little can I say I have become a huge fan of Abby's Lane and am very pleased to have the opportunity to share them with you, my lovely followers! Stephanie over at Abby's Lane offered to let me choose a product for my review, and since I was just dying to try out the Bummis Easy Fit by Tots Bots and their very appealing new prints, that was exactly what I asked for! My diaper came in the mail super quick! I was super excited to try out the Easy Fit diaper, but stuck to my guns and prepped it first. It should be pre-washed 3-5 times since fabrics such as the rayon from bamboo that the Bummis Easy Fit uses need to be washed and dried a few times prior to use to strip it of it's natural oils and help it reach it's maximum absorbency faster. However, after the 3rd time we had a dilemma in our household: we were out of night diapers! We had specific night time diapers that worked for us at night, and were not confident in many of the other diapers that were clean to do the job! Our solution? We decided to put the Bummis Easy Fit to the biggest test right off the bat! Since our main night diapers were made with bamboo fabrics I had high hopes that the Bummis Easy Fit would keep SAP dry throughout the night without any rash in the morning. The results: Yes! Our first time using our Easy Fit was a grand success with SAP waking up with dry jammies and rash free. We did however have the issue of trying to figure out what doubler would work well in the Easy Fit for night time use with the bamboo insert already there. This is a choice we still do not feel completely confident about when we use this diaper at night, making me wish Bummis Easy Fits came with doublers already for such times as these! After this first use, we have given this diaper test after test with amazing results! Whether it is being used by SAPsDaDa, myself, daycare, or even SAPsNaNa, it is very simple for them to put on so much that we have not had a leak even once! For me this is a great success because even some of my most favorite diapers leak at some point! Its' very simple design with the insert attached already makes it very easy to stuff so that there is no searching for the insert in the wash and there is no need to instruct anyone on how to fold the insert, attach the insert, or lay the insert correctly! No guessing equals no leaks! The rise is also fitting my budda belly toddler quite well! I'm thinking this diaper will last us to potty training! The absorbency in this diaper is adequate enough for my toddler, and I have found that even when SAP has a very messy diaper there is not only no leaks, but it is also very easy to clean off! Let's face it, if a diaper is difficult to clean, it's usually avoided! There is no need to avoid this diaper at all, and that is a relief! Related to this: no un-stuffing of the insert is required. This removes a bit of the yuck factor some of us dislike. The diaper closures are Velcro, and are quite wide and soft! Usually I dislike velcro for one reason or another. Never been very satisfied with it, either it was too grabby and hard to open, too hard and scratchy and would irritate SAP's skin when she bent over, or even some that would only last a couple months and would no longer grab on very well at all, making it almost useless. The Bummis Easy Fit Diapers seem to have gotten their Velcro just right for my liking! Nice and wide so they're easy to grab, soft so they do not irritate SAP's skin, do not fray and grab on good, but do not grab on too hard, and are quite thin so they overlap easily without creating a ton of bulk in the front of the diaper! Koodos on the awesome design Tots Bots! I would like to mention the rayon from bamboo inserts of the Easy Fit diaper. I love bamboo as a more sustainable choice and more of a natural fiber than synthetic fabrics, but creating rayon from bamboo fabric does require toxic chemicals. I am happy to say that the manufacturer of the Bummis Easy Fit in Scotland does do an excellent job of producing their products ethically and sustainably! The rayon from bamboo fibers is ... Oeko-tex certified and the bamboo fiber is produced in a "closed loop" system which recycles water and chemical output to ensure sustainability. Awesome! This makes me feel good about using their products! What SAPsMaMa LOVES about the Bummis Easy Fit by Tots Bots Cloth Diaper! Easy to use, for anyone!! Insert is attached, so no searching for the insert for "stuffing" the pocket after laundry! Velcro closures are wide, soft, and not too thick. No leaks!! Night time proven in this household! Suggestions For Improvement: There's Always Room For Improvement! I'd love if the Easy Fit came with a doubler! Abby's Lane is a unique boutique offering products to make your parenting experience enjoyable and a little closer to nature. The products I carry at Abby's Lane are carefully chosen to make your cloth diapering experience an easy and enjoyable one. 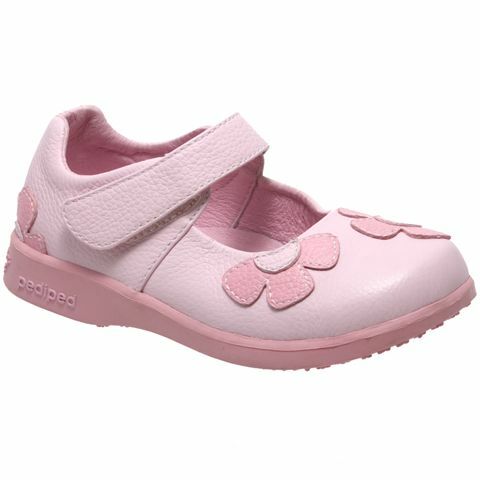 A vision of one mother that became reality, Abby's lane not only offers some of the best selection of top brands of cloth diapering products, baby wearing products, and nursing products, but also wonderful infant/toddler shoes, baby legs, and more! With free shipping and Stephanie's wonderful customer service, there is no doubt you will find what you need in this one unique boutique! Earn Abby's Lane Dollars for store credit, Join their Yahoo Group to keep up to date on awesome sales and a 5% discount every month, or join Team Cloth if you're in the area! Abby's Lane has much to offer families of all types. You can find a huge variety of cloth diaper products, all the great products above, and much more for sale at AbbysLane.com! Don't forget, free shipping on any size order in the U.S. ! One SAPsMaMa follower will be lucky enough to win a $10 Gift Certificate to Abby's Lane! Treat yourself to that cloth diaper you've been wanting for little one, or even grab some great cloth diaper laundry detergent like Rockin' Green Funk Rock!! You must be a SAPsMaMa Google Friend Connect follower PUBLICLY on the NEW Blog (http://sapsmama.com) to enter this giveaway! You must leave your email in each comment/entry! You may leave your email in the " email at host dot com " format if you would like to deter spam bots, but your email MUST be included for your entry to count! If you need clarification on how to complete one of the entries, feel free to contact me and I'll be happy to help! Must be done BEFORE any other entries are done, if you do not do the mandatory entry, all other entries do not count. 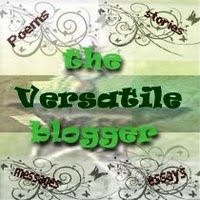 One free extra entry for subscribing to SAPsMaMa's new blog on WordPress at http://sapsmama.com via Google Friend Connect! Make a purchase from Abby's Lane!! Email order number to sapsmama at yahoo dot com (10 Entries). Be sure to sign up for their Yahoo Group for your discount code! 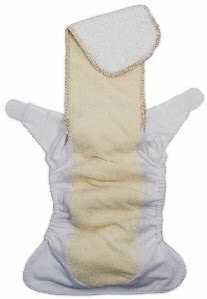 I was not compensated for my review, but was provided the product Tot Bots Easy Fit Cloth Diaper to test for this review from the company or the PR agency. The opinions expressed are 100% my own. Text in Italics is from the company's website/social media site or otherwise sited from party it was received from. Giveaway is open to all! Giveaway will end Jan. 14th @ 11:59 PM (CST) unless it is decided to extend it a little longer, this will be announced on Facebook. Winner will be chosen using random.org and will be emailed as well as announced on Facebook. Winner will have 48 hours to respond after I contact via email. If winner does not respond, a new winner will be chosen. Good Luck and thank you for supporting SAPsMaMa! Bisphenol-A (BPA): Should it be Banned? A month or two ago I posted an article "How Much of the BPA Story Do You Know? ", which gave many facts and background knowledge the common American, even those that avidly steer clear of BPA, did not know. If you did not read that article, I do summerize it a bit in this more legnthy essay, but you will probably want to read it for your own knowledge. Bisphenol-A (BPA), used in many plastics and other common products in our everyday lives, was questioned a decade ago. The question asked was “Is BPA safe to use within certain amounts, limits, and uses?” The belief was that BPA was like any other toxin and was safe if controlled to certain amounts. Geneticist Patricia Hunt, however, discovered that BPA did not behave like other toxins, and thus regulations limiting amounts and levels of BPA in the products we use it in would not be enough to keep our exposure down to any “safe” level. This is because BPA is a toxin through the route of hormone disruption, and through this route, even very low doses of the toxin can cause harmful effects. In the past, it was believed that even if BPA was harmful, use of BPA in making plastics was not toxic at all as it was chemically sealed in. This was proven false, however, when studies were done showing that the bonds that form products that use BPA do not utilize all of the chemical bonds. Thus, the chemical BPA does not get locked together. This can cause BPA to leach out of the product. Leaching is most prevalent when exposed to high heat or even abrasive damage such as that done by scrubbing pads used for cleaning dishes. This leaching then gets into the food and drink we consume, and through these methods (and many others) we get BPA in our system. The reason that researchers like Hunt are so prevalent at trying to get BPA banned from use and not just restricted to any amount or limit is due to the studies that have been done that show BPA does not just affect the individual that it enters. These studies have proven that if BPA enters a pregnant female, the female, the fetus, and the reproductive eggs of that fetus as well (if it is female) are affected by the toxin. That is three generations affected by this toxin in one exposure. Surveys and tests that have been done have brought us the fact that 93% of humans have detectable amounts of BPA in their urine, blood, cord blood from newborns, and/or breast milk. This fact and facts such as those Hunt discovered (that very low doses of BPA can cause harmful effects), make it impertinent to many that BPA be banned and not just limited. Some governments feel the same way and take the "better safe than sorry" approach, such as Canada (who recently banned the use of BPA) and California (who recently passed into law a bill disallowing BPA to be used in items meant for children under 3 years of age). Why is BPA getting all of the attention? BPA has become a kind of "Poster Child" for getting the news out about endocrine disrupting chemicals. With its ability to bond to estrogen receptors and mimic the hormone estrogen links have been made with several diseases and other health problems, including cancers, obesity, infertility, early puberty, diabetes, neurological problems, and behavioral problems. Many of these are hot topics right now. How can a single toxin affect so many areas of the body in so many different ways? Just think of all the different types of diseases estrogen is connected with: "breast cancer, uterine cancer, obesity, behavior, and the immune system”. If BPA is mimicking estrogen it may be connected to these diseases in some way. Men are also susceptible as BPA also binds to receptors for male and thyroid hormones. For an infant the effects can be much different from an adult. This is because their brains are still forming and their livers are inefficient at detoxing chemicals. Knowing how BPA has a multi-generational effect (it can affect the future generations of the person exposed), we may not even know the full, long-term effects of BPA on humans for so long that many feel it is the correct action to take a "precautionary principle" and ban the use of BPA. So, with everyone fighting to get BPA banned, why has it not been done? There are many reasons why a BPA ban is being fought and even provisions to bills in the House and Senate have not been allowed. So far, only amendments, with high likelihood of failure, have been allowed into Senate. The main argument against banning BPA from use is due to conflicting results in research studies. There is great conflict between researchers due to the fact that studies that have or have not shown BPA to be dangerous are not able to be replicated. Some of the reasons for this is because different laboratories study the chemical differently, but much of the reason why results are unable to be replicated is a complete mystery. No matter the reason why, due to the discordances in reports there is no definite answer to the question of whether BPA is safe or not. Studies have shown associations between high levels of BPA in an adult and that adult having an increased risk of heart or liver disease, but correlation does not prove causation, and many are quoting the fact that there is no definite proof. The food-packaging and chemical industries are the top individuals concerned with the possible ban of BPA use. To them, BPA is has been "demonized" and any precautionary ban on the chemical would result in dramatic changes that are none too appealing. BPA has been used not only to make attractive looking clear plastics for many products, but it is also widely used in such things as linings in canned foods to prevent corrosion, cash receipt ink, dental sealants, some adhesives, and even your good old American dollar bill. With no conclusive results that BPA is harmful, such uses of BPA such as for the lining in canned goods will become not only what these companies consider "needlessly expensive", but they also believe that any substitute will be inadequate and less effective than BPA is at the job. With the United States taking the approach that chemicals must be proven harmful before being banned, a "precautionary ban" is being fought against, even if it is submitted as an amendment to such logical bills in the Senate as the Food Safety Bill. Bisphenol-A is not the only chemical that is an endocrine disruptor and possibly harmful to humans. Studies have identified many more; BPA is just the tip of the ice-burg so to say. Is it acceptable to take the approach the US is taking and not over-react, or is it the responsible choice to follow suit with Canada and other countries and ban with a precautionary approach? Although it would require the United States to make some drastic changes within some of its' large industries (such as the can industry and the chemical industry), with a chemical with the potential effects of multi-generational harm to human beings and their genetics, it is my opinion that it is worth the effort. With BPA being the endocrine disruptor poster child it is possible that a ban would open many new doors, inviting a chance for more regulations in our products, and resulting in a healthier society of individuals. 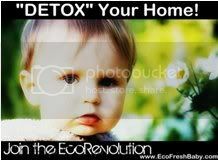 It is understandable to ask for indefinite proof that this chemical is harmful to humans (especially considering what the industries feel they are giving up with disuse of the chemical), but with the properties BPA and other endocrine disruptors encompass proof would take a great amount of time that is well past our lifetimes and into that of our children. With multigenerational effects a possibility I feel waiting is unwarranted. The public has shown support for such a ban, ruling in many states to create their own ban to protect their children's exposure, and even large corporations such as Wal-Mart and Sears have used BPA-free labels to advertise products and increase sales, knowing the appeal of today's parents toward products that will not have even the possibility of being harmful to their children. With the market place starting to carry alternative products and consumer demand helping drive the change I can only hope that the government listens to what I feel is our inward intuition to protect ourselves against a substance that may be detrimental to our future generations. Holiday Gift Giveaway Hop Event, Dec. 1st - Dec. 5th! 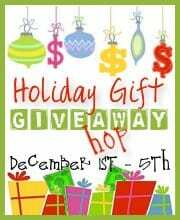 Welcome to the Holiday Gift Giveaway Hop Event !! Participating in this event this year with up to 200 other blogs, SAPsMaMa has some wonderful eco-friendly sponsors and green prizes for you that I know you will love! I know I do! Be sure to check out the sponsors pages, not only do you get extra entries for doing so, but you'll find some great products I know you'll just love! To keep moving through the holiday blog hop use that handy dandy "Bookmark" tool you have on your computer! :) I know I will! $55 Gift Certificate to CSN Stores! Beyond stellar customer service, our 200+ sites at CSN Stores offer the largest selection of items for most home and office goods. And these items are priced right to be very competitive with other sites, providing our customers with strong savings, too. This combination of benefits is rare among online retailers and is what sets us apart. Want to know what excellent eco-friendly products CSN Stores carries, or just how well past experiences have stood up to expectation? See my past CSN Stores reviews and giveaways and just how pleased I am with their products, service, and prices! Truly my number one shopping store online! Get an amazing holiday gift for yourself, enter to win a $55 Gift Certificate to CSN Stores! 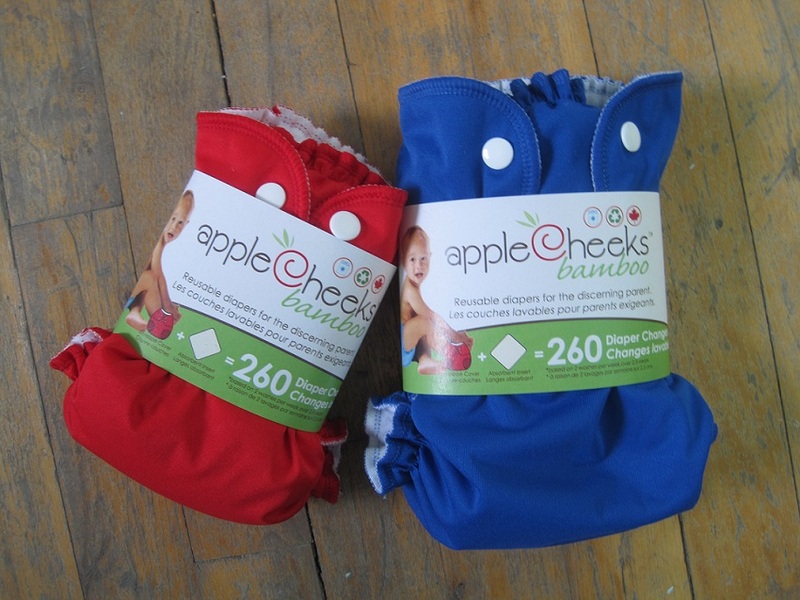 $25 Gift Certificate to AppleCheeks! AppleCheeks has been a SAPsMaMa cloth diaper favorite since day one of trying them out to solve our night diaper leaking problems. Since then I've not only been hooked by the cuteness, durability, and effectiveness of their 2-size diapering system, but also by their excellent customer service! you can see a review of their diaper accessories (including their gentle cleansing solution, bamboo wipes, 2 size tote bags, and swim diaper) HERE! They now also carry washable nursing pads, and flushable diaper liners! Try out this amazing diaper today, enter to win a $25 Gift Certificate to their online store! SAPsMaMa will pick via random.org two (2) winners, one for each of these wonderful prizes! Please specify in your mandatory entry comment which prize you'd like to enter for: AppleCheeks, CSN Stores, or Both! You must be a SAPsMaMa Google Friend Connect follower PUBLICLY ON THE NEW BLOG www.sapsmama.com to enter this giveaway! To enter to win one of these two wonderful prizes, all you have to do is GO TO THE NEW BLOG www.sapsmama.com and Publicly Follow SAPsMaMa blog by Google Friend Connect!!! 1. Follow SAPsMaMa on Facebook! Please leave Facebook last name and first letter of first name for verification. Worth 1 Extra Entry. 3. You may get one extra entry if you do any of the following: Follow AppleCheeks on Facebook, their blog, or Twitter. Please include the necessary information to verify your action (i.e. Facebook last name and first initial, Twitter ID, GFC ID, subscription email, etc.) Worth 1 Extra Entry. 4. You may get one extra entry if you do any of the following: Follow CSN Stores on Facebook, follow the CSN Stores blog, and/or follow CSN Stores on Twitter. Please include the necessary information to verify your action (i.e., Facebook last name and first initial, Twitter ID, GFC ID, Subscription email, etc.) Worth 1 Extra Entry. 5. Visit the AppleCheeks Store and tell me one product you love, or one product you would love to have, and do the same at CSN Stores. You must visit both stores and pick one product from each to get this extra entry. Careful, you might get distracted by all the great stuff they have!! Worth 1 Extra Entry. Be sure to hop on over to the next blog on the list!! :) Happy Holidays!! I was not compensated in any way for my review/giveaway of the items from these sponsors (CSN Stores and AppleCheeks). The opinions expressed are 100% my own. Text in Italics is from the company's website/social media site or otherwise sited from party it was received from. Giveaway is open to all! Giveaway will end Dec. 5 @ 11:59 PM (CST). Winner will be chosen using random.org. Winner will have 48 hours to respond after I contact via email. If winner does not respond, a new winner will be chosen. Good Luck and thank you for supporting SAPsMaMa! Thank you to both sponsors for taking part in this great holiday giveaway event! Welcome to Santa's Blowout Event! There are 6 wonderful blogs participating in this event, each brinigng you reviews and giveaways from some great sponsors that we think will make excellent holiday gifts ... even for that hard-to-shop-for person! Get them a unique gift this year! The 6 blogs participating in this event include: Emmy's Boos and Rawrs, My Life With Rats and More, Mommies Playground, Closer to Lucy, the host blogs Evoluchun's Misc. and A to Z Medical Reviews, and of course SAPsMaMa: Natural Parenting in the Modern World!! 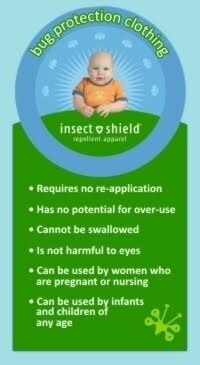 SAPsMaMa's wonderful sponsor for Santa's Blowout is Insect Shield! Why does SAPsMaMa love insect shield?! Insect shield is a more healthy and eco-friendly way to protect yourself (and your little ones) against disease causing insects. Some of their products also protect against the sun...a more healthy and eco-friendly alternative to sunscreen! No more re-applying spray or wipe on repellent or buying can after can of repellent. Less waste, less money out of your pocket book, and better for you and the planet! 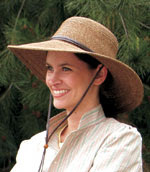 Some repellent products require fogging or spraying, and topical insect repellents can readily come off while bathing or wading through a body of water. Also, many traditional insect-repellent products require disposal of a non-biodegradable container. Insect Shield technology represents a responsible way to use insect repellent. 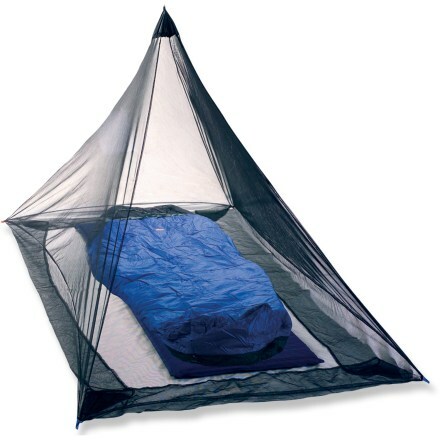 Insect Shield puts just enough bug protection right where it is needed—around an individual. Insect Shield products repel mosquitoes, ticks, flies, fleas, chiggers, ants and midges (no-see-ums), with only a small amount of long-lasting active ingredient. Compared to spraying, fogging, or topical insect repellents, Insect Shield products can help reduce overall pesticide and repellent use. Simply put, Insect Shield provides a method of insect protection with many advantages. 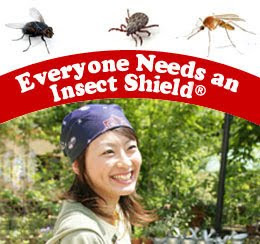 Insect shield provides products for everyone: from your child to the deer hunter in your household! The perfect gift for any child! You can see a review of these products on my past review/giveaway HERE! The perfect gift for that gardener in your family!! 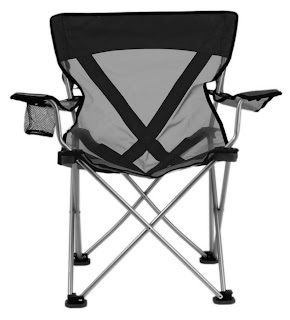 The perfect gift for that camper in your family!! 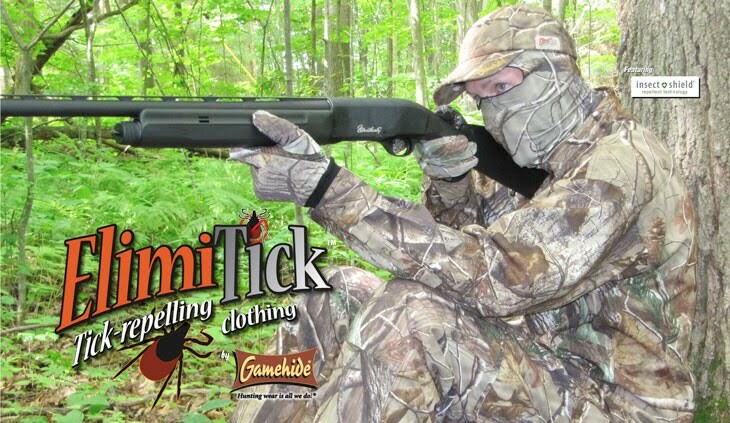 The perfect gift for the hunter in your family!! Would you like to win some Insect Shield gear?! Insect Shield has been generous enough to sponsor 2 packages to 2 lucky SAPsMaMa's fans! 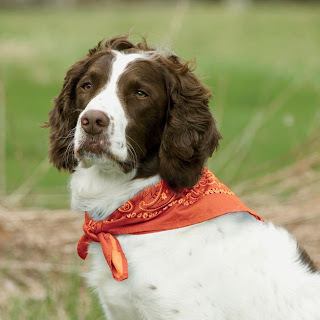 Two fans will win (1) Insect Shield net and (1) Insect Shield bandana! This is a total of $61 ARV per package! :) What a wonderful holiday gift for someone ... or keep it for yourself! You must follow Evoluchun's Blog PUBLICLY via Google Friend Connect or subscribe! You must follow A to Z Medical Review Blog PUBLICLY via Google Friend Connect or subscription! You must do BOTH these things to enter!! Only worth the 1 mandatory entry! Enter any of the other giveaways open on SAPsMaMa blog right now! This includes the My Precious Kid $25 GC Giveaway and the Holiday Gift Giving Blog Event with sponsors Applecheeks and CSN Stores!! I was not compensated in any way for my review/giveaway of the items from the sponsor (Insect Shield). The opinions expressed are 100% my own. Text in Italics is from the company's website/social media site or otherwise sited from party it was received from. Giveaway is open to all! Giveaway will end Dec. 8th @ 11:59 PM (CST). Winner will be chosen using random.org. Winner will have 48 hours to respond after I contact via email. If winner does not respond, a new winner will be chosen. Good Luck and thank you for supporting SAPsMaMa! Thank you to Insect Shield, not only or amazing products, but also for the opportunity to share them with my followers and help spread the word! CSN Stores $55 GC Giveaway: Holiday Gift Giving Hop Event Sponsor!! SAPsMaMa will be taking part in two large Holiday Blog Hop Events this December! One of them is the Holiday Gift Giveaway Hop! I am happy to announce that one of our main sponsors for this event is one of our favorites: none other than CSN Stores!! When trying to come up with that perfect holiday gift, CSN Stores has become my go to website. Not only do they have everything I want or need, a great selection, excellent prices, often free shipping, but they tell you when it's guaranteed to arrive before Christmas or not! That's peace of mind! Oh and did I forget their hassle free returns?! :) Want an example? Well, I was looking in their stores at their sling backpacks...and wow, the selection is amazing! 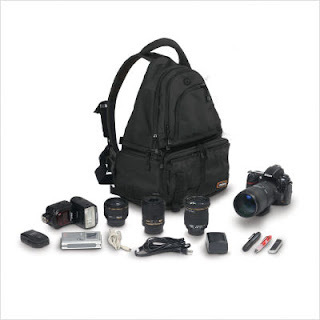 I am especially loving this Naneu Military Ops Sling Backpack...can you say perfect holiday gift for any photographer?! This would be so handy! You've seen my other reviews from CSN Stores, you know what I love at their store! What do you love? What would you buy form CSN Stores if you had $55 to spend?! Well, you will have to think about that if you win the Holiday Gift Giveaway Hop, because CSN Stores was wonderful enough to sponsor a Gift Certificate of $55 to one lucky SAPsMaMa fan! So come back between Dec. 1st and Dec. 5th and be sure to enter for this amazing chance! I was not compensated in any way from the company or the PR agency for this review and/or giveaway. The opinions expressed are 100% my own. Text in Italics is from the company's website/social media site or otherwise sited from party it was received from. Google Friend Connect Followers...please follow on the new Wordpress blog at http://sapsmama.com! ABC: A Look Into SAPsMaMa's Diaper Stash!! Bargain Buys and Daily Deals, Oh My! Ways to win or get stuff free/cheap!! Tip #1: Rid Yourself of Plastic Food Storage Containers! #4: How Much of the BPA Story Do You Know? Be a Safer Cans Supporter!! !